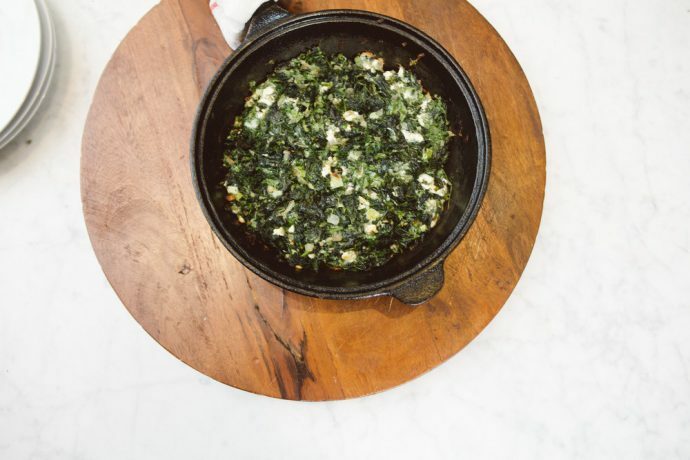 Heat butter or oil in a deep cast iron pan or stainless steel skillet. 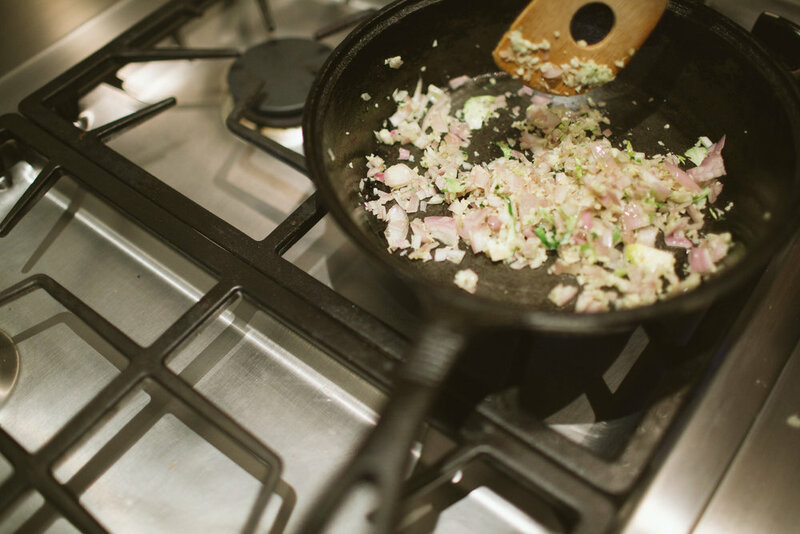 Add shallots and garlic and sauté until onions are translucent, around eight minutes. 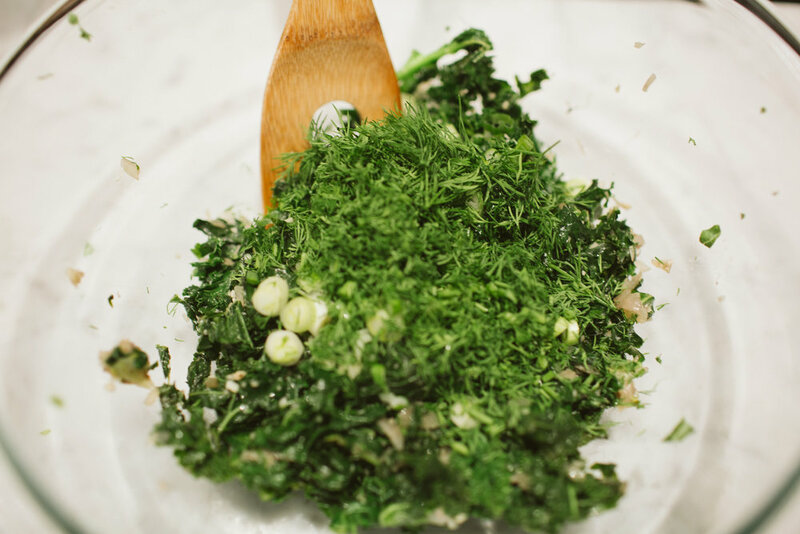 Add kale and give a quick stir to mix ingredients together. 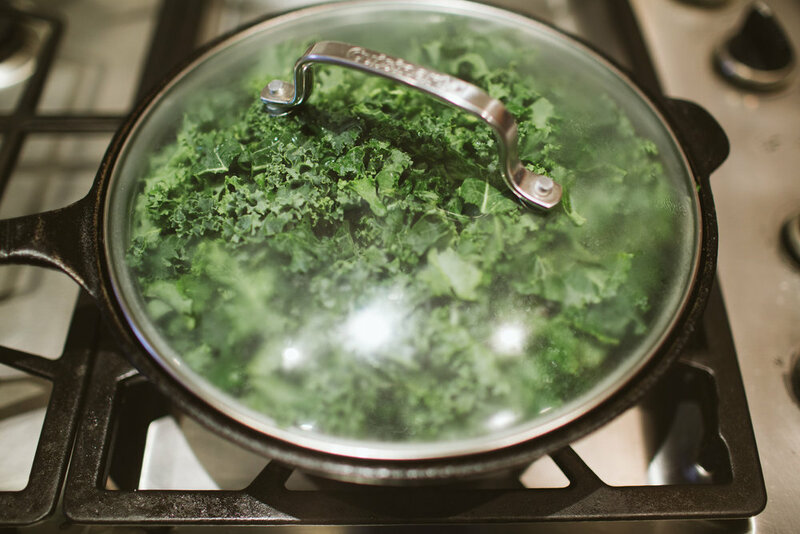 Add two tablespoons of water and cover allowing the kale to cook without adding more oil. 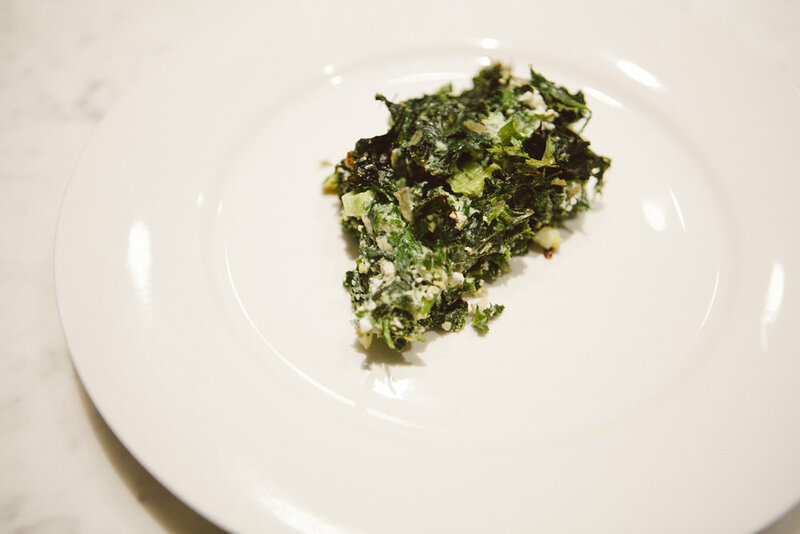 Cook for two to three minutes until kale turns bright green. 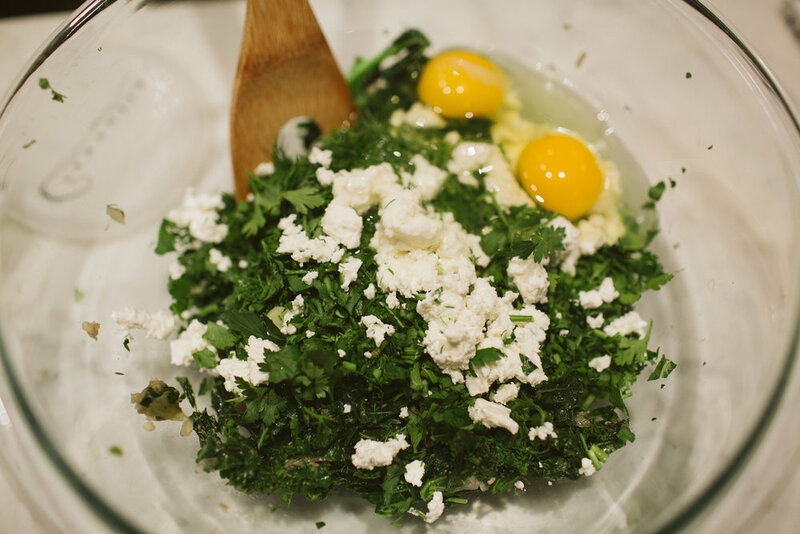 In a medium bowl, whisk eggs, add the herbs and cheese. 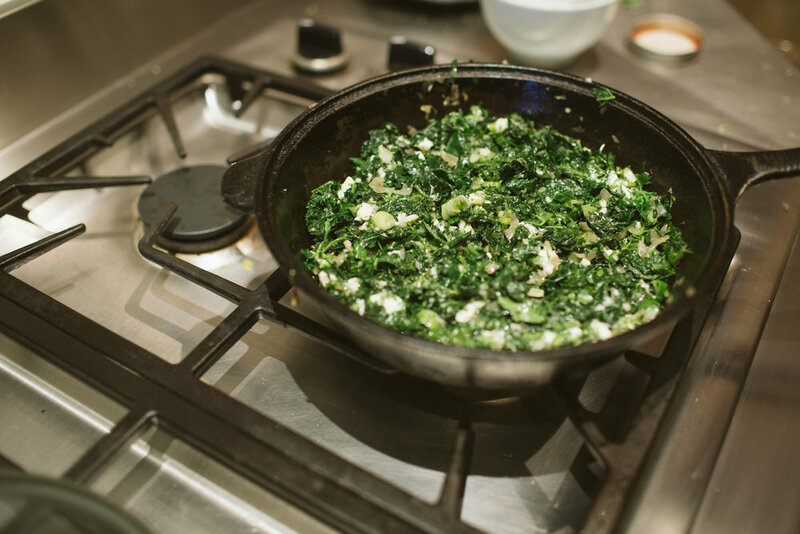 Pour egg mixture over kale and stir to incorporate. Place pan in oven, uncovered and bake for 15 minutes until the eggs are firm and not runny.